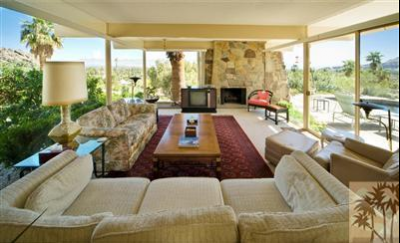 The Mesa is located in a desirable and classic area of South Palm Springs. The Mesa community was established in the early 1920’s, the vision of Edmond Fulford, a Los Angeles businessman. 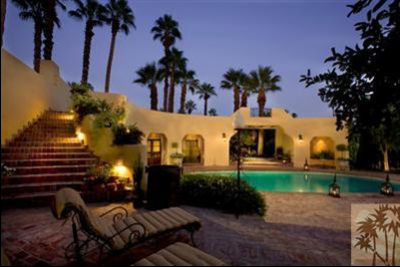 Located in the Palm Canyon Mesa, this unique, gated community was to be situated on the lowest slopes of the San Jacinto Mountains where the homes would be protected from the desert winds. Edmund Fulford’s vision for an exclusive gated community that could be entered through a common main entrance was never fulfilled due to his sudden death in 1936. However, the gatehouse still remains an iconic representation of Fulford’s vision for The Mesa neighborhood. After his death, other developers took over the quest and today; The Mesa real estate offers a unique collection of architectural styles. The Mesa, nestled on the east slopes of the San Jacinto Mountains has a reputation of having a friendly, family atmosphere. Residents enjoy walking along the quiet streets of the neighborhood, always taking the time to stop and visit with their neighbors, something that is not seen in many neighborhoods in this fast-paced society that we live in today. The Mesa is also situated on the east flank of Tahquitz Canyon. The Tahquitz Canyon features a 60-foot seasonal waterfall, Indian rock art and ancient irrigation ditches. Steeped in folklore, the Tahquitz Canyon was the home of Tahquitz, a Cahuilla Indian of great power. It is said that he spoke through lightning and thunder, and craved human flesh and beautiful women. Legend has it that any time a person disappeared from the mountain, they had been carried off and eaten by Tahquitz. The legend of Tahquitz adds an ambience of mystery to this eclectic mountainside community. Are you ready to find the perfect dream home that offers the best in family living combined with the best of what Mother Nature has to offer? The Mesa real estate offers a varied selection of architectural styles including 1920’s Spanish Colonial Villas, 1950’s Ranch houses, and more recent Santa Fe style homes. This charming neighborhood offers a unique blend of old Palm Springs and modern living and is the perfect place for nature lovers, who adore the rugged terrain, natural streams, and jagged peaks of this community that brings the past and the present together at the edge of the desert. 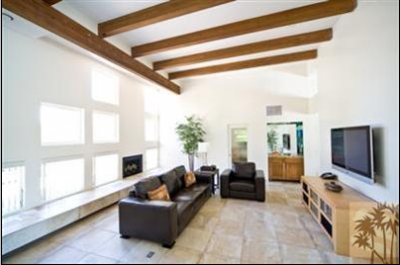 Priced in the mid 600,00’s to $3 million, The Mesa real estate has something for everyone. If you would like to see property at The Mesa, please call us at the numbers below. Were committed to helping you find the home of your dreams.